Are you new to GS1 Standards or need a refresher? This online certificate training covers the foundational aspects of globally unique product identification and barcoding with GS1 Standards. Learn how to use your GS1 Company Prefix to create GS1 identifiers for products; build trade item hierarchies; and use the most common GS1 barcodes in accordance with industry best practices. You will also gain a basic understanding of the Package Measurement Rules and the GTIN Management Standard to help you apply GS1 Standards properly to your business processes. Professionals who manage the product lifecycle from creation through distribution and merchandising, including product management, supply chain operations, logistics, category management and shopper marketing. Have more questions and want to speak to a GS1 Foundations course specialist? Please call 937-428-3796. 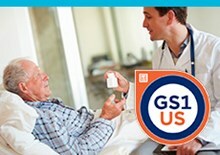 Specialists are available Monday-Friday, 8am-5pm EST or Email us at Training@gs1us.org.